Christmas in Sweden starts with Danish "Hygge"
After an interesting start to our soccer season, especially for me with a fractured toe and a yellow card (who am I? ), we obviously needed a team Christmas party. Lucky for us, Lykke & Kristian from Denmark offered to host a Danish "hygge" afternoon involving Æbleskiver and gløgg... involving what?? Let me explain. Hygge, maybe you've heard of it? Pronounced “hoo-ugh,” it's a Danish term defined as “a quality of coziness and comfortable conviviality that engenders a feeling of contentment or well-being.” Basically it means eating, drinking & living in away that is all about coziness. Cardamom buns, hearty porridge bowls, mulled wine and snuggling in our teeny, tiny apartments. 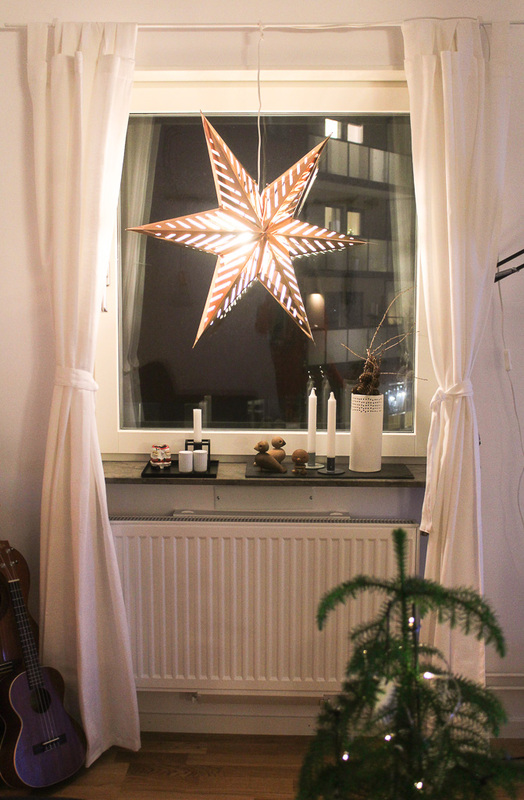 I'm sure it comes as no surprise that winter, especially the Christmas season, is definitely the most hygge time of year. 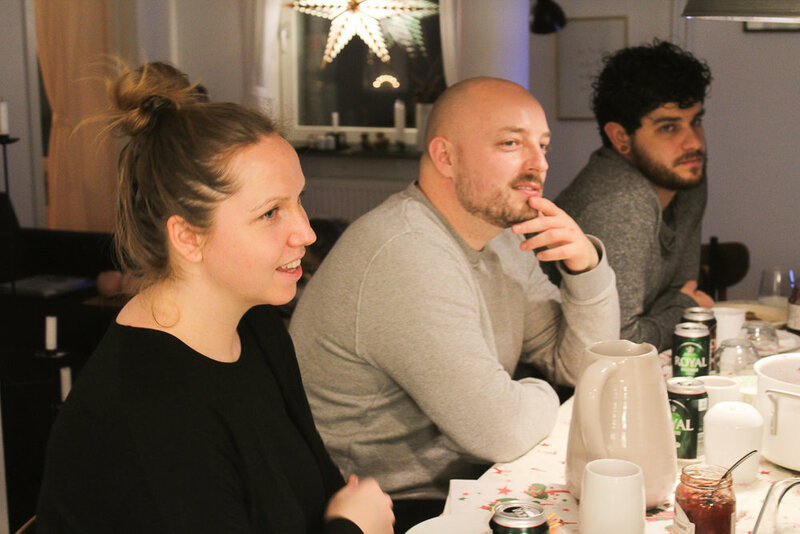 So to bring this hygge feeling to life, we all got cozy around Lykke & Kristian's dinner table with a big plate of Æbleskiver and a steaming pot of gløgg. Firstly, I have to say that Lykke & Kristian, both architects, have styled their apartment in what I aspire my personal style to evolve into someday... simple, clean, minimalistic decor with interesting artwork on the walls and quality utensils & appliances in the kitchen. Matt has a bit more of an eclectic style, mainly things found from the recycling bin, so we'll see! Anyways, Æbleskiver. Translating to apple slices in Danish, these are really delicious, light, fluffy pancake balls served with assorted jams & confectionary sugar. Traditionally there would have been actual apple pieces in each ball, but this part of the recipe has disappeared over the years. Using a special Æbleskiver frypan, these tasty treats are certainly a labour of love. And of course, gløgg (or glögg, in Swedish). Hot mulled wine flavoured with spices like cinnamon, cardamom and cloves, with some orange peel, raisins and almonds thrown in to keep it all exciting. Apparently the tradition of drinking glögg at Christmas goes back hundred years, when you would have added spices to hide a bad wine. But it's definitely remained a popular tradition and in Scandinavia this time of year there is plenty of glögg to be found, in fact it's what Christmas parties are all about! So no surprise, Matty volunteers to be my 'hand model' and does the honours serving it up to get this party started! We keep things interesting, sitting around the table with a mix of Swedes, Danes, Norwegian, Brazilian, Australian & Canadian. This is what I love about travelling and living in new countries. You have evenings like this, where you may feel so far from home but at the same time, surrounded by new friends and lots of love. 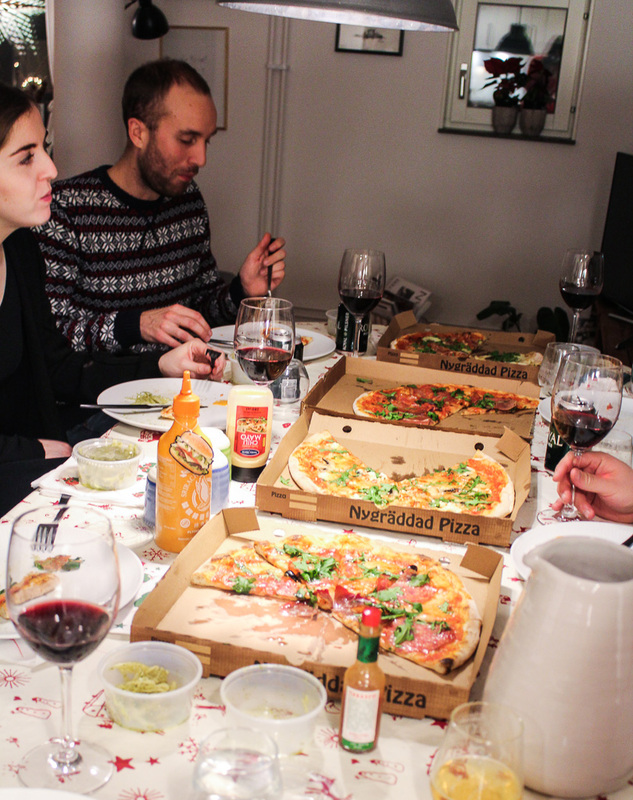 But after indulging in a few too many Æbleskivers and cups of gløgg, what else was there to do at a soccer party than order pizzas & open up the red wine! Have you ever spent Christmas living in a new country? Although it's a bit sad being away from your family and the traditions that you've grown up with, it's also a really nice time of the year to experience others' traditions... especially all the delicious food!